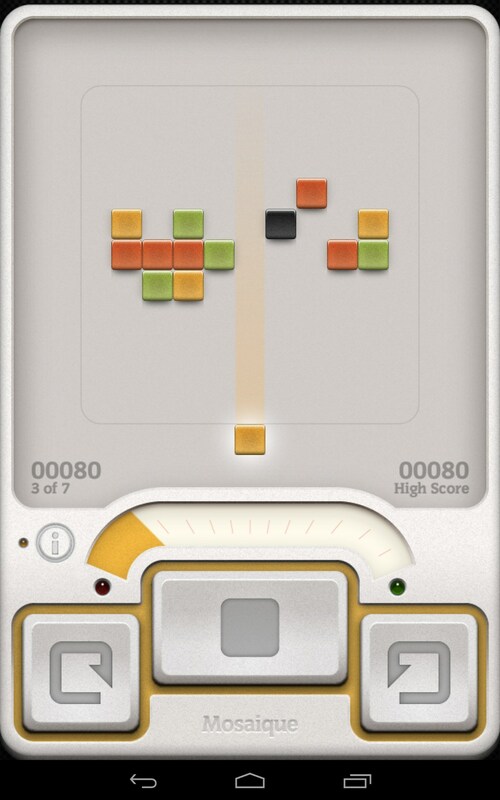 Mosaique – Games for Android 2018. 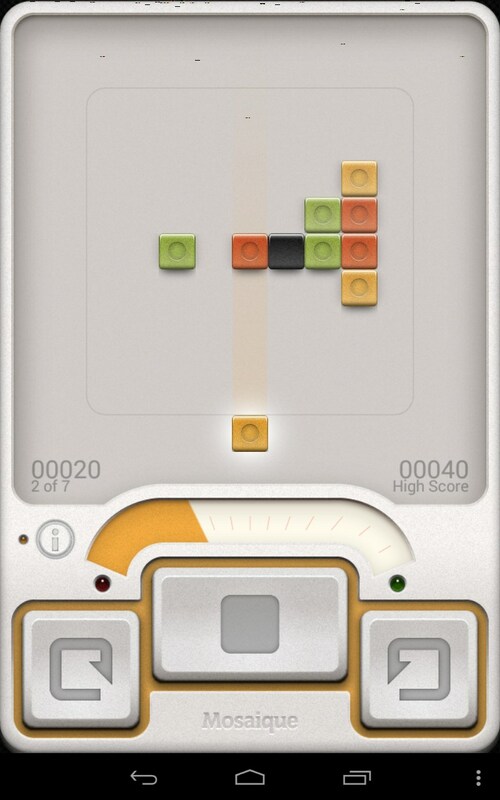 Mosaique – Simple and colorful brain teaser game. 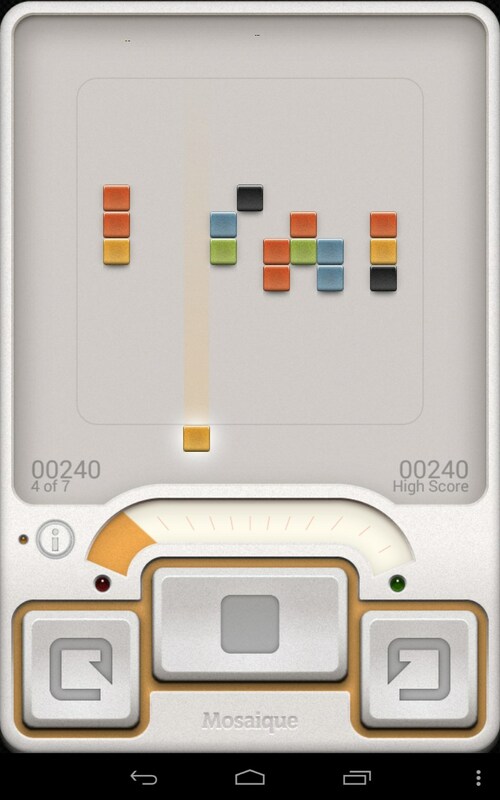 Mosaique is a light and exciting logic game for Android devices that trains your wit and logical thinking. 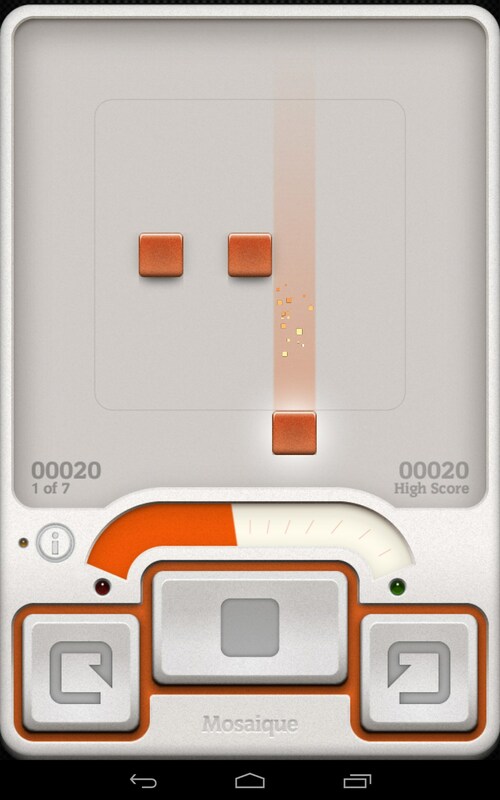 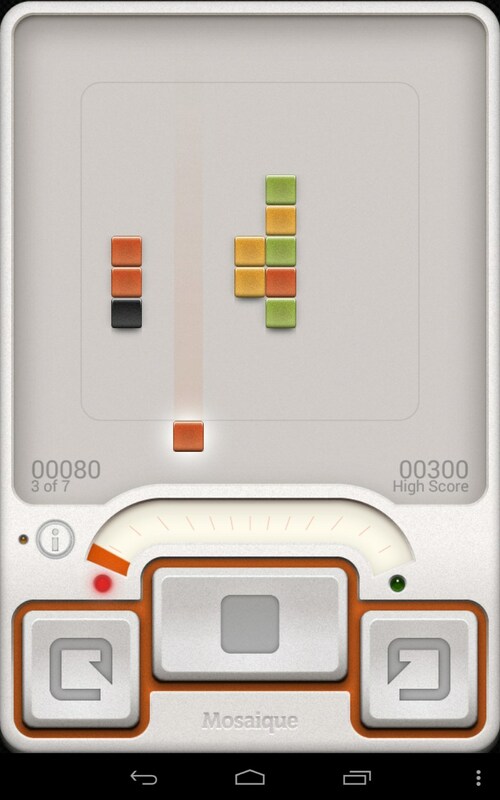 Featuring simple controls and bright interface, this game somehow resembles tetris and will make you think hard of how to eliminate all blocks of various colors on the playfield in as fewer steps as possible. 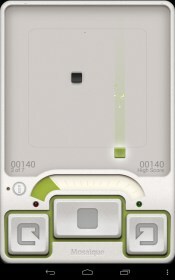 The game features three on-screen buttons that you will be using to control the game. 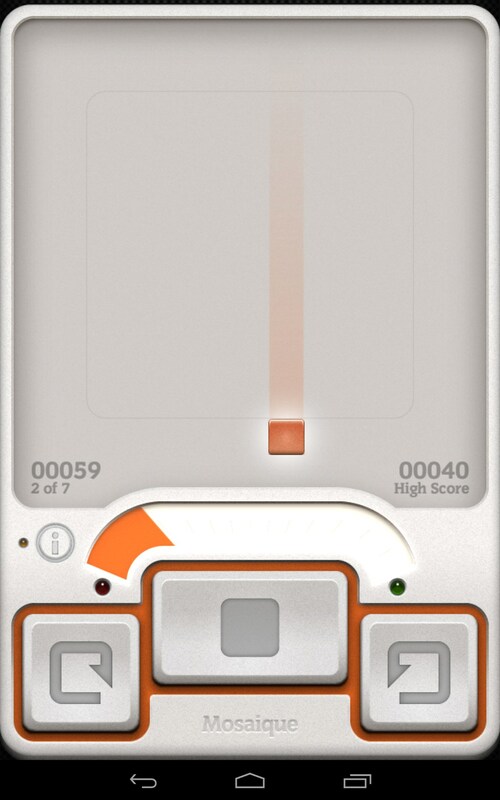 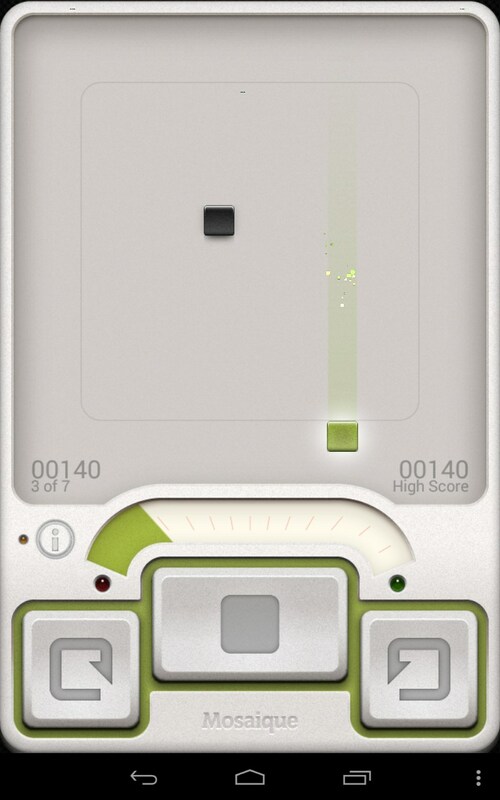 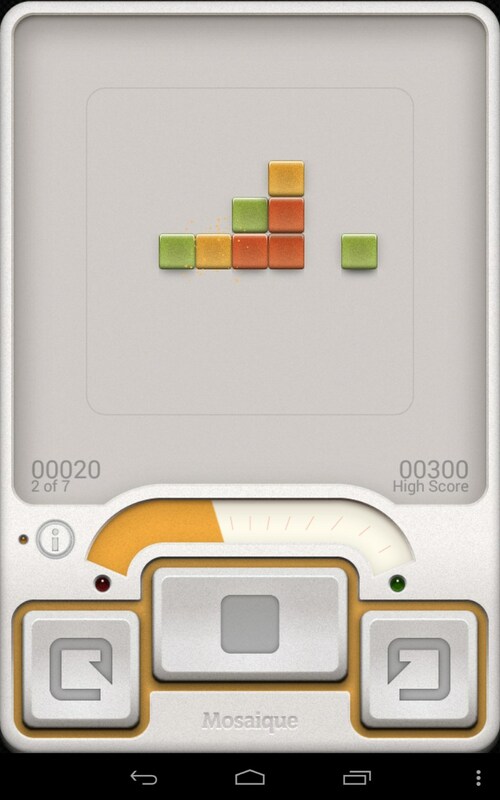 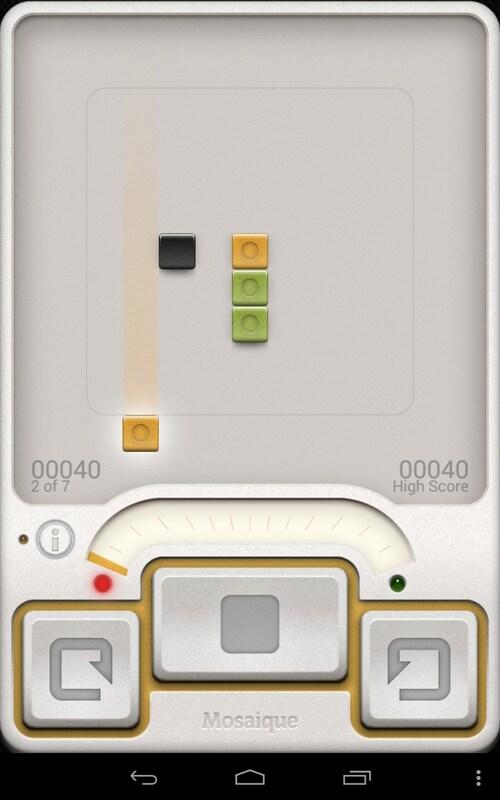 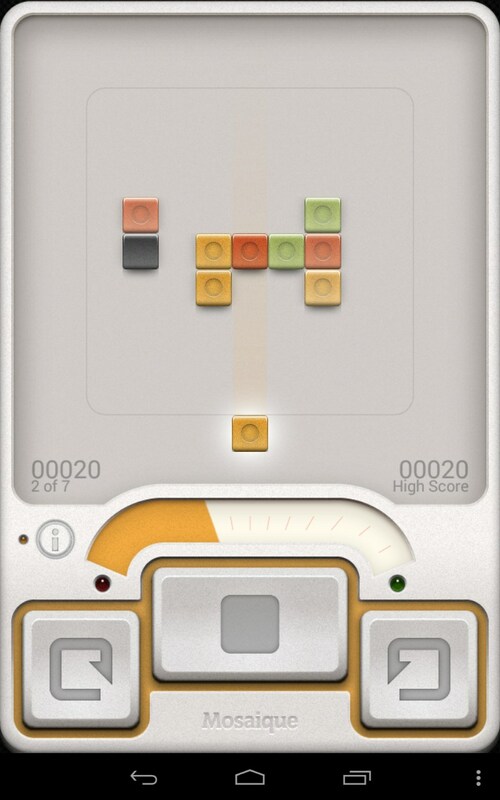 Your task is simple: move left or right and shoot the colored block to eliminate all other blocks of the same color. 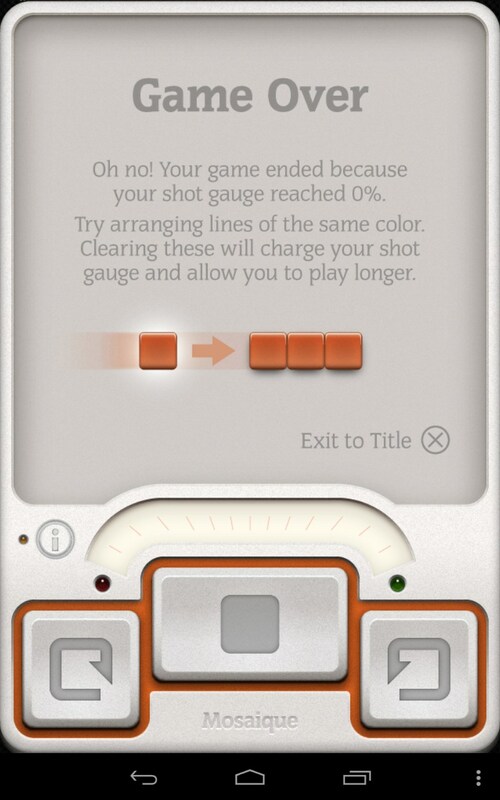 Every time you shoot at the block of a different color, your block will respectively change its color. 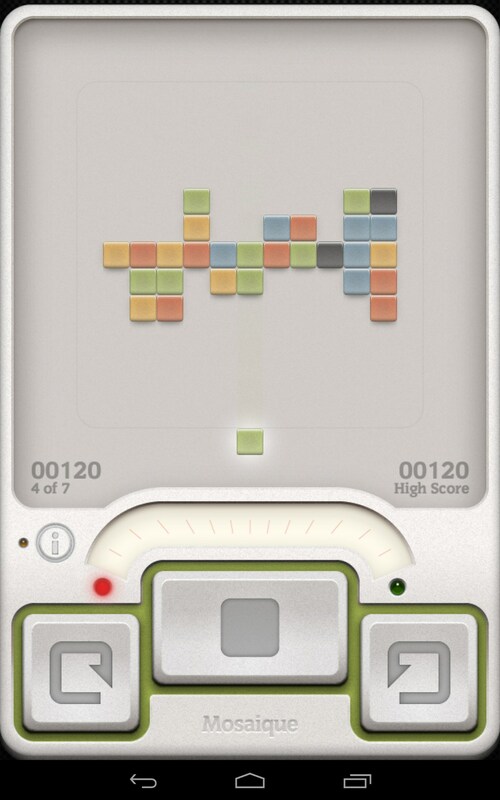 However, everything is not that easy. 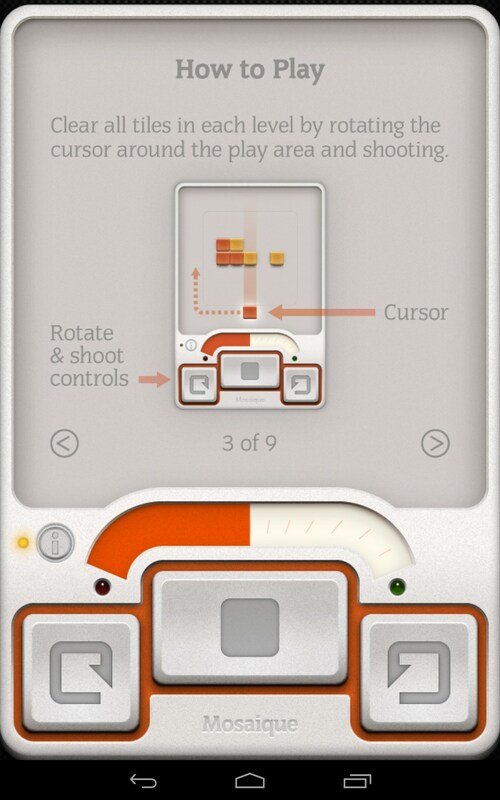 You will be spending your energy every time you shoot out a block. The only way to replenish your energy will be to eliminate two or more blocks of the same color. 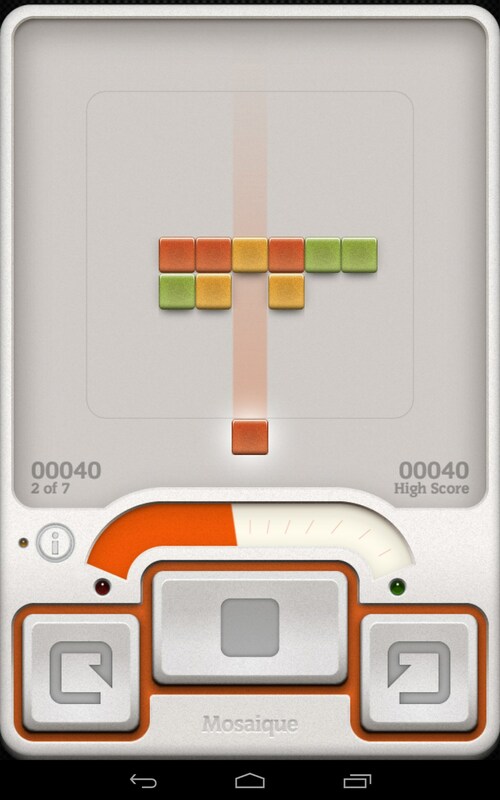 The game features seven randomly generated levels that get more and more challenging as you play. 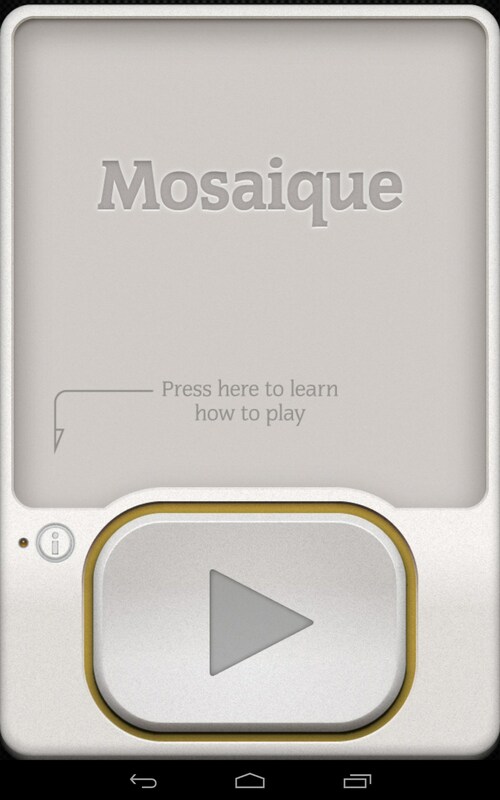 Mosaique is a simple but difficult logic game for Android that will make you use your brainpower 100% to complete seven complicated levels. 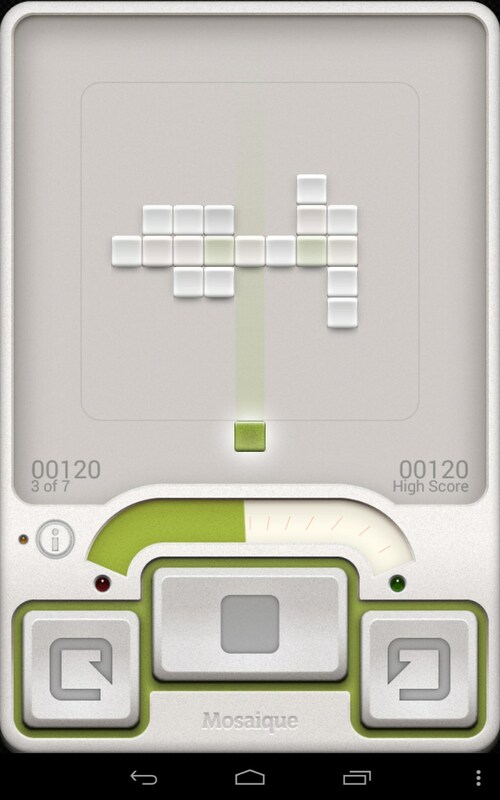 And though it’s quite difficult to play it, the game may bore you really quickly because the game play is pretty monotonous.